WeIcome! 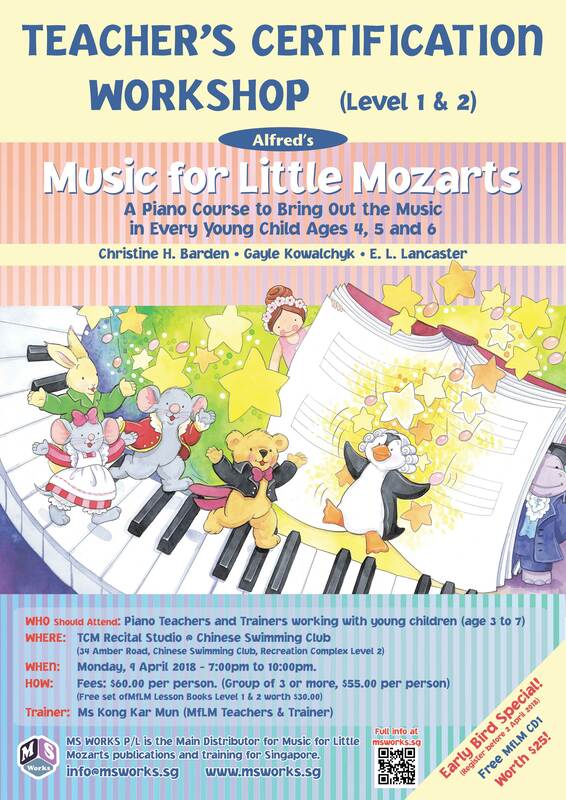 This conference is a landmark in "Music for Little Mozarts" history. It is the first time that all three authors will attend and present sessions. There will be specialized workshops on Teaching Technique, Rhythm, and Reading along with presentations on effective MLM teaching strategies. 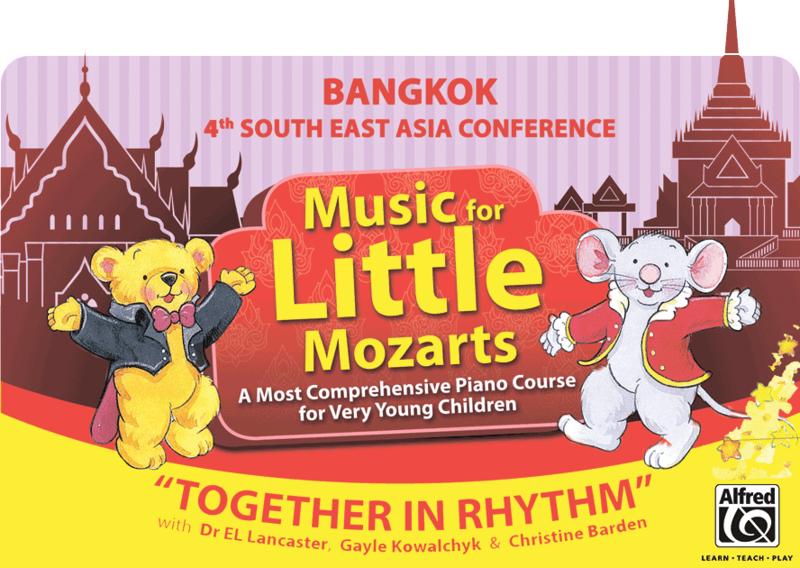 It is with great joy that I extend a personal welcome to participants to our 4th "Music for Little Mozarts" Conference in Bangkok, Thailand. The conference a few years ago in Singapore was very exciting and I know that the Bangkok event will be just as stimulating. We look forward to renewing friendships with teachers who were in Singapore and meeting teachers who be attending this conference for the first time. We are eager to learn about how the"Music for Little Mozarts" program has developed in each country here in S.E. Asia. We hope that you share the enthusiasm that the three authors feel for the learning that will take place during the conference. From the opening "Hello Song" to the closing "Goodbye Song;' the conference will be filled with information that teachers can share with students upon returning home. 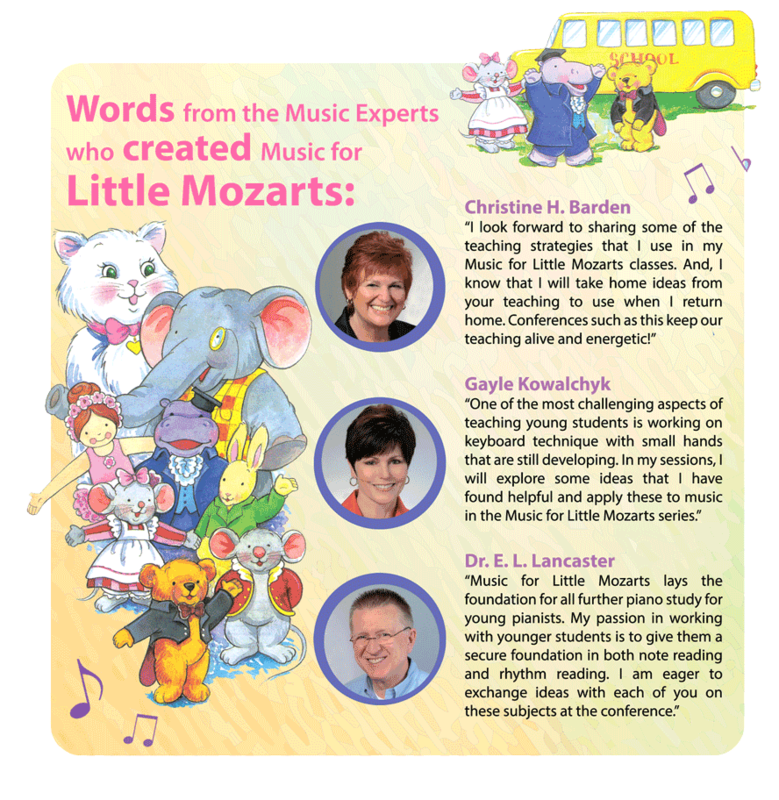 ALL Music Teachers and Trainers working with early learners and beginners. ALL Existing MfLM Members, as it will be a very valuable experience to meet face to face with all the three authors. MS WORKS Pte. Ltd. is the Singapore's Coutry Representative for Music for Little Mozarts . or to reserve your seat! 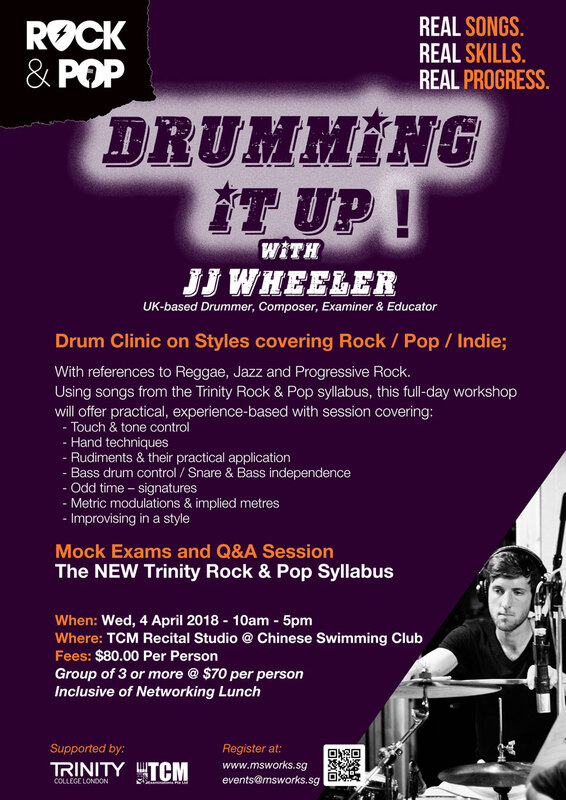 JJ Wheeler is a UK-based drummer, composer, examiner and educator whose work has recently included tours across 5-continents playing world-renowned venues, Radio and TV shows with various artists. 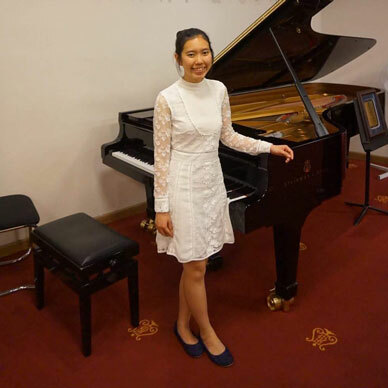 JJ performs regularly around London, the UK and abroad with many artists and bands alongside having a strong reputation as a reliable ‘deputy’ for most genres and contexts due to a wide stylistic knowledge, expert sight-reading skills and ability to improvise. 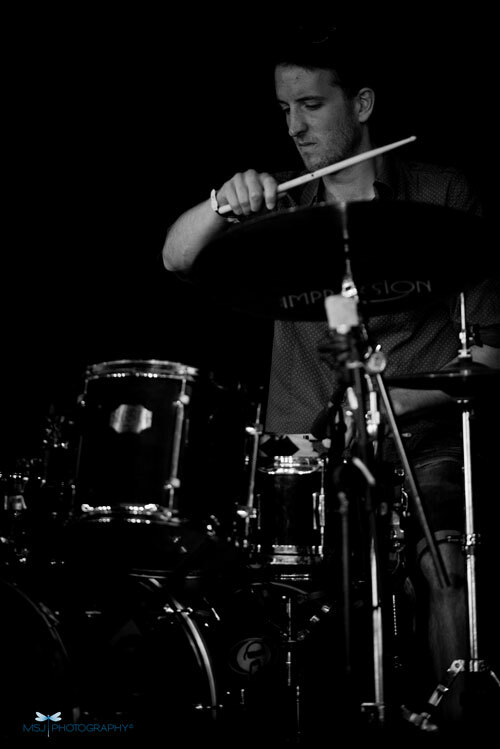 Recent tours have seen him work in five different continents as well as appearances at venues including Wembley Stadium, The Royal Albert Hall, Birmingham Hippodrome and Pizza Express Jazz Club (London), international festivals including London Jazz Festival, Trondheim Jazz Festival (Norway), World Jazz Day (Tunisia) and many UK festivals. He has appeared on recordings and live broadcasts played on BBC Radio 3, Radio 2 plus prime-time BBC 1, ITV, and MTV (UK, Europe and USA) television networks. 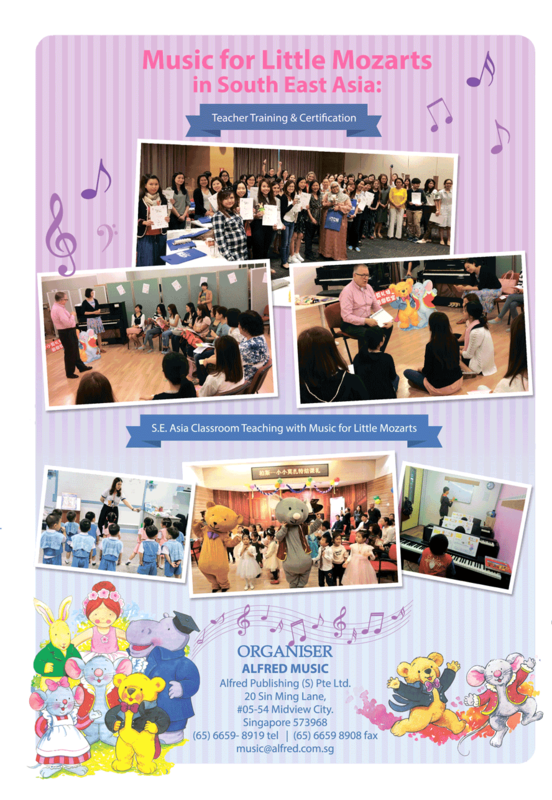 The Music for Little Mozarts (MfLM) Teacher’s Full Certification Program (MfLM Books 3 & 4) is now open for registration. We are inviting all participants who have attended the first MfLM Workshop for Books 1 & 2 to register for this Full Teacher’s Certificate Program. Those those who have prior MfLM teaching experience or attended any MfLM conference may apply too. - Review teaching concepts for MfLM Books 1 & 2. 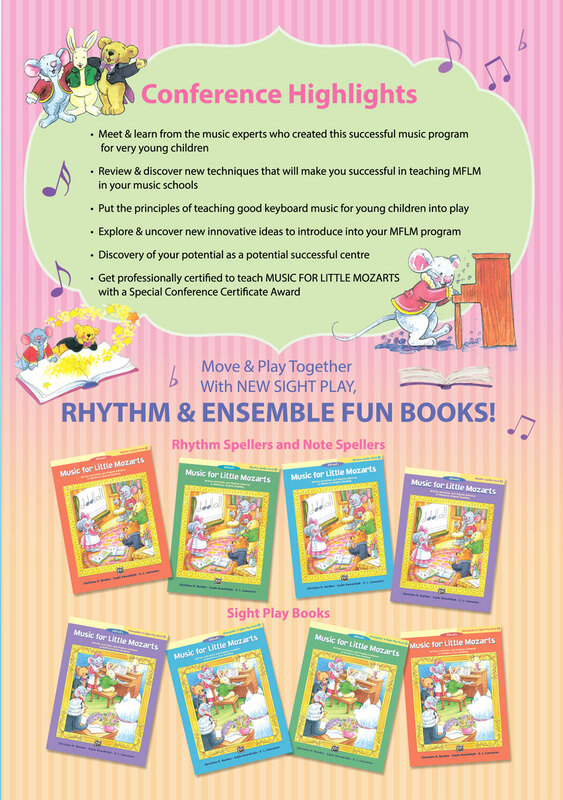 - Introducing MfLM Books 3 & 4 (Lesson Book, Workbook, Discovery Book & Teacher’s Guide). - Advance Group Teaching Techniques. - Review & Evaluation of Classroom Teaching. NOTE: All participants will be presented with a Full Teacher’s Certificate & Teacher’s Card at the end of the workshop which certifies you to teach and purchase ALL MfLM Books and materials for Levels 1, 2, 3 & 4. There are limited places for this workshop so please register quickly. Note: Registrations will close as soon as we reach capacity. Videos can be as simple as recordings done on your mobile phone, to record your 5 to 8 minute MfLM lesson slot. 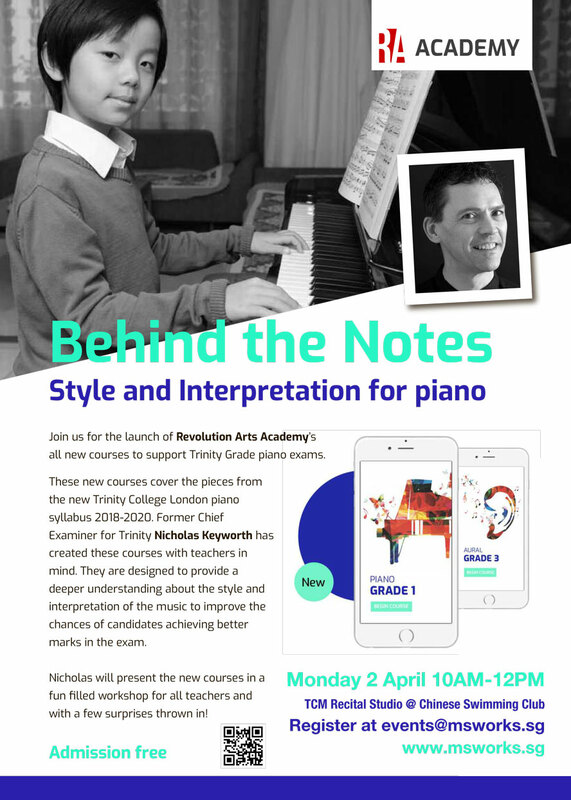 Note: This recording will only be used in-house for our workshop, and this will not be used beyond the workshop without your written permission.